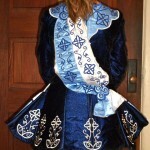 Beautiful sparkly velvet with light blue satin and dark blue embroidery. 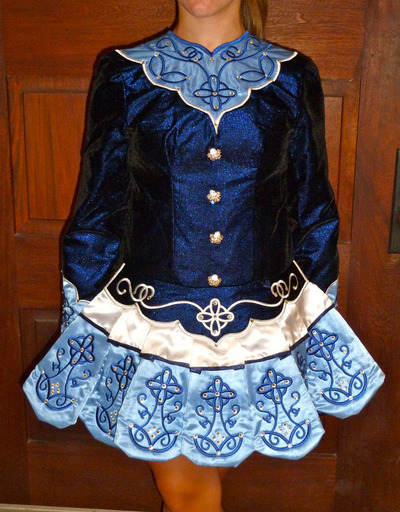 Dress is in excellent condition and has full zipper for easy on/off. 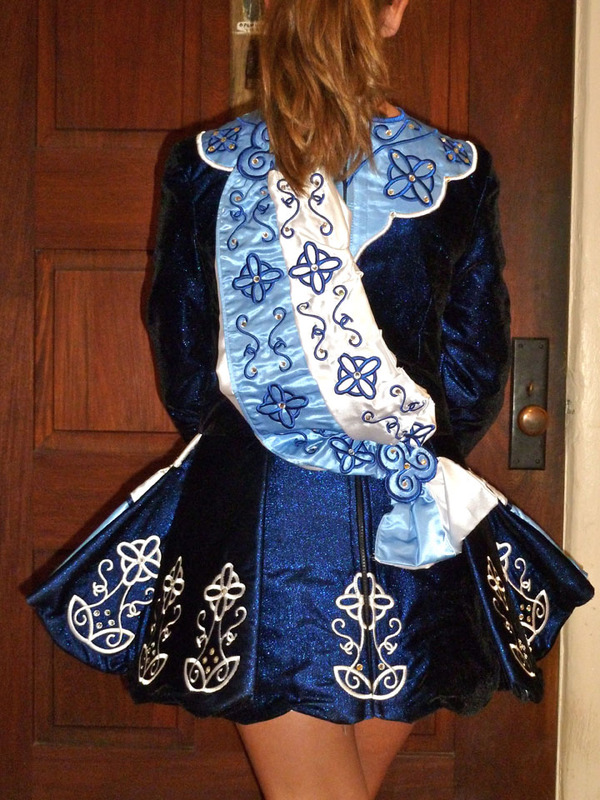 Comes with bloomers and wide headband in dark blue velvet with matching embroidery. Asking Price: $US850. Shipping costs are included for my own country, overseas shipping is extra. Returns are negotiable.